"Professional DJ Who Works To Your Requirements"
Welcome to Double Decks Disco. My name is John and I am an independent DJ. My aim is to provide you with excellent service and a quality professional sound and light system to supplement a huge range of music. 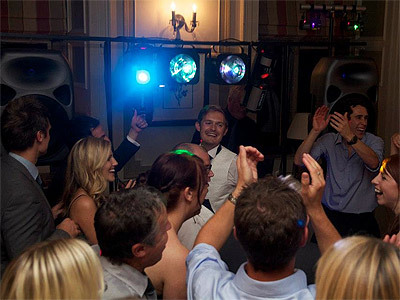 I am an experienced DJ and I will work with you to deliver what you want from your wedding, party or other event. Your celebrationis unique, and special to you, and this is why I treat every disco individually. My professional sound and lighting equipment is capable of filling large, medium, small and unusual venues. I always carry full back up systems. I have performed in stately homes, major hotels, entertainment venues, marquees, caves, village halls and gardens. 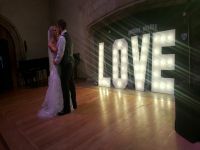 I can also supply 4 foot by 2 foot illuminated LOVE letters which add a special feature to your special occasion. My music library contains a massive amount of songs, which is continually updated. You can choose your own music by supplying a playlist, or the type/genre of music you want. Required by many venues, Double Decks Disco has a current PLI policy with AMP DJ in the amount of £10 million. Also required by many venues, Double Decks Disco has supplied satisfactory evidence of holding current PAT inspections of their equipment dated within the last 12 months. A Method Statement, outlining Double Decks Disco&apos;s Health & Safety procedure for setting up disco equipment has not been supplied. Why do people choose to book Double Decks Disco? he actually answered the question i asked about using the PA for another entertainmer. He was the first respondent. I was happy with the price, he has good references and I was anxious to secure the date ASAP. "Would definitely use again and recommend to others. Very polite helpful guy"
"Jon was brilliant,communication was great and very reasonably priced. Can't fault him in any way.x"
"Thank you. It was a great night." "John was an absolute star ! Taking charge of a raffle and being positive and helpful throughout our event. I definately recommend him !!" "Thank you. It was a great day and the event was a great success." "John was everything we wanted from a dj. We met before the event to discuss what i wanted; he was approachable and professional. On the day, he set up with no problems and i only got brilliant feedback from all or guests. I would recommend him to anyone! Thank you for being part of making our wedding day so special. " "Thank you Alex and Lewis. It was a great evening to celebrate your special day. " "The event was for my sons 18 th. Prior to the event communication and response rate was excellent and on the day from start to finish it was all perfect and John was very friendly and professional. I wouldn't hesitate to recommend and would definitely book again if I planned another event. The volume level was just right allowing for conversation without haven't to shout and the music flowed continually with a good mix which included songs from our play list. Well done John and once again thank you." "Thank you. It was a great night and a really nice group of young people. " "We were so lucky to find John to provide the music for our wedding. From the first meeting we felt confident that our wedding was going to go well. We were very impressed in his professionalism, prompt response and attention to detail. We were given a gift of wedding music by a friend but were unable to play it on any machine, John was very genuine and kind and spend his spare time one evening arranging the music so he could play it for our wedding ceremony. What every music we requested he provided, all our guests spend the evening dancing their socks off." "Thank you. It was wonderful to be part of your special day. I am pleased that the ceremony music turned out so well." "I did not have to worry about a thing. there was an act on as well using Johns equipment, which we agreed beforehand. it all went perfectly. excellent choices of music for the guests that were there. i have never had to hire a Disco before, now i will hire only one." "John was very quick to contact me in response to my inquiry. Terms were very clear and the price very reasonable. On the night he showed up right on time and set up quickly and smoothly. The event was my daughter's 18th birthday party and, as people that age can be very particular about the music, we sent John a playlist of 50 tracks which he integrated very well into the evening. 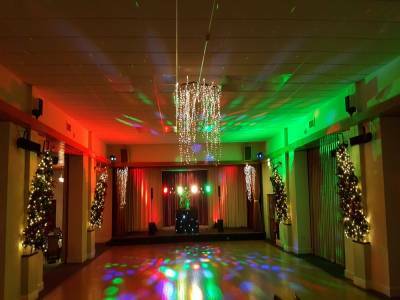 I would thoroughly recommend Double Decks Disco – very professional and took all the stress out of organizing an event which went off very well indeed!" "Thank you. A really great night and new music to play. I am glad that and her friends had such a good night. John "
"We hired John for our wedding reception. He is an excellent DJ, very proffesional and a very nice person. He took the time out of his day before the event to meet us to discuss song choices, timings etc. He was very reliable in returning calls and texts and happy to take song requests by guests during the evening of our reception. We would definitely recommend John to anyone looking for a DJ. Simon and Michele. " "Thank you. A lovely couple. I am glad so pleased that you had a fantastic day and I was a part of it." "John was 1st class. We met him a couple of months before the wedding at the venue, had a chat with him regarding what we wanted, and he carried out our wishes and more. I would 100% recommend him. " "Thank you. A perfect day for a lovely couple." "Excellent DJ, very polite and accommodating. 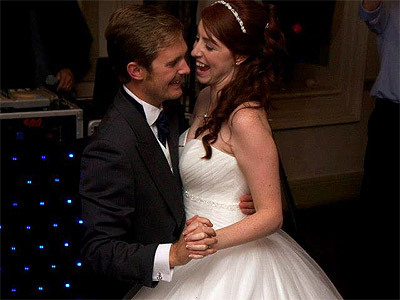 We were more than happy with double decks disco at our wedding, would highly recommend." "Thank you. A lovely wedding in a fantastic location. A really great night. John"
"John provided the music for our actual wedding ceremony, the afternoon and evening wedding party. John's whole modus operandii is extremely professional: he has an engaging manner combined with his practicality and sense of humour. We would thoroughly recommend John for any occasion, for his reliability and overall professionalism. Thank you John. Helen and Alex June 2016"
"Thank you. it was a real privilege to be so involved in your special day. 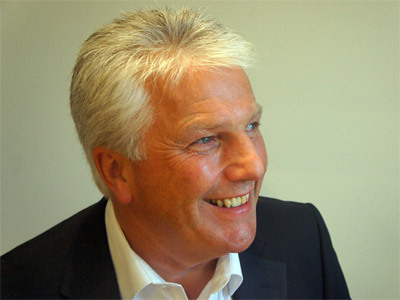 John "
"John was fantastic, I would recommend him to anyone. Well priced and brilliant quality. He was so friendly & helpful, felt like we had know him for years. We wish you all the best in the future. Mr & Mr Johnson"
"This is proof that meeting the bride and groom beforehand and understanding what they want from their day, helped me deliver exactly what they wanted." "I loved this gentleman;s enthausiasm for what he does. I could tell he really enjoyed his job which was lovely. He was really friendly and easy to deal with and his experience was evident. He did a fantastic job and did everything that I asked of him for a great price. I would highly recommend him to anybody." "Disco and Karaoke. A really fun night with a very varied taste in eras and music. I loved as much as the guests." "We had an absolutely fantastic night. The music choices were excellent and definitely to the birthday girl;s tastes as requested. I will definitely be getting back in touch if I need a DJ again. Thank you!" "This was a bespoke night, with a 1940s theme. It was great to play some different music and get such a good response. Thank you." Double Decks Disco also offers a range of additional party services not directly linked to musical entertainment.